England is the only country in the world where the nobility are in the habit of entailing their jewels . Some of the great houses of the aristocracy, such as that of Cavendish, whose head is the Duke of Devonshire ; that of Bentinck, whose head is the Duke of Portland ; and that of Lennox, whose chief is the Duke of Richmond , possess superb collections of gems, almost priceless in value, and which have been in the families for hundreds of years. They cannot be sold or delivered from the head of the house, and even if they are pledged for loans, the person with whom they are pledged is forced by law to return them to his estate, even without payment of his loan, on the death of the peer or peeress who offered them as security for money advanced. Moreover, like the entailed landed property, the heirloom jewels do not remain with the widow, but pass immediately to the successor of the title. When young Lord Dudley  married the erstwhile shop girl, Rachel Gurney , a few years ago, his still beautiful and young-looking mother, the widowed countess, had to surrender to her daughter-in-law most of the magnificent and world-famed jewels with which she had delighted to adorn her comely person during the twenty-five years of her married life . Of course jewelry thus entailed cannot be seized for debt, and thus it is that these collections of gems have remained intact and ever-increasing throughout the course of years. The inauguration of the new fashion of divorce has led to a good many complications of a legal character in connection with this practice of entailing family jewels. Formerly divorce was so costly and difficult to obtain that the question did not arise. But now that divorces are so customary among the nobility there are constant conflicts arising in connection with the family jewels, the wife as a rule putting forth every effort to retain them. It was only the other day that an action of this kind took place in London, the wife, who had the divorce pronounced in her favor, and who had been assigned the guardianship of the children, insisting that, inasmuch as she retained her name, her title, and her children, she had likewise the right to retain possession of the family jewels until her son should marry. This, however, the judge refused to admit, and declared that the jewels must be returned to the husband, the divorce terminating not only her marriage obligations, but also her rights to share in the property of her husband's family. 1. When property is entailed, it passes automatically in trust through a series of predetermined heirs, preventing it from being sold or leaving the chain of inheritance in any other way. In centuries past, English aristocrats often entailed their estates so that they would pass intact from eldest son to eldest son. The practice was largely abolished in England in 1925. 3. The head of the family in 1898 was William Cavendish-Bentinck, 6th Duke of Portland (1857-1943), a politician and courtier who served as Master of the Horse late in Queen Victoria's reign. 4. Charles Gordon-Lennox, 6th Duke of Richmond, 6th Duke of Lennox, and 1st Duke of Gordon (1818-1903), a politician who twice served as President of the Board of Trade, was head of the Lennox family in 1898. 5. William Ward, 2nd Earl of Dudley (1867-1932), a government minister who later served as both Governor-General of Australia and Lord Lieutenant of Ireland. 6. 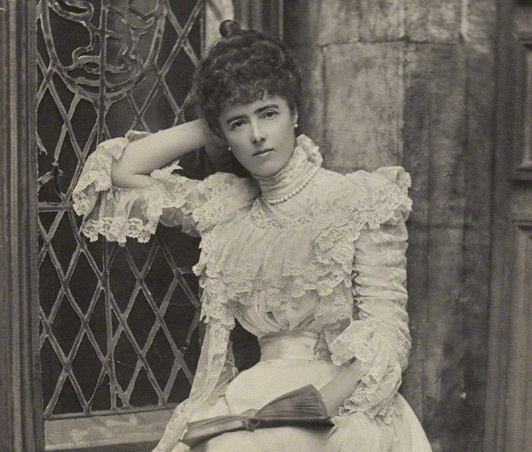 Rachel Ward, Countess of Dudley (1868-1920), born Rachel Anne Gurney. Rachel's father was a banker, but after her parents divorced, she opened a short-lived millinery shop with her mother, and the "shop girl" label stuck. 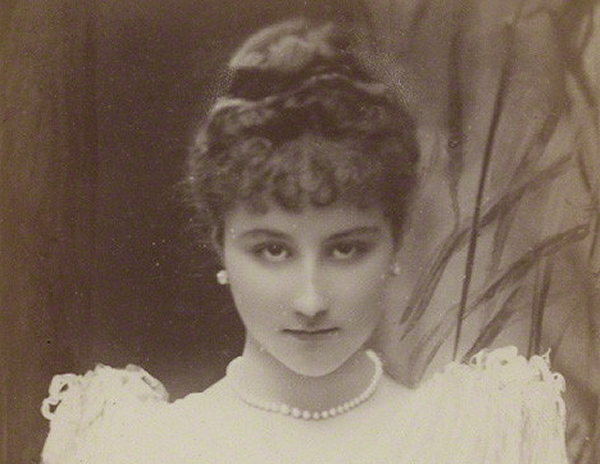 When Rachel married Lord Dudley in 1891, the Prince of Wales was among the guests in attendance. William and Rachel had seven children, but their marriage was rocky. Rachel drowned off the coast of Ireland in 1920. After her death, William married an actress, Gertie Millar Monckton. 7. 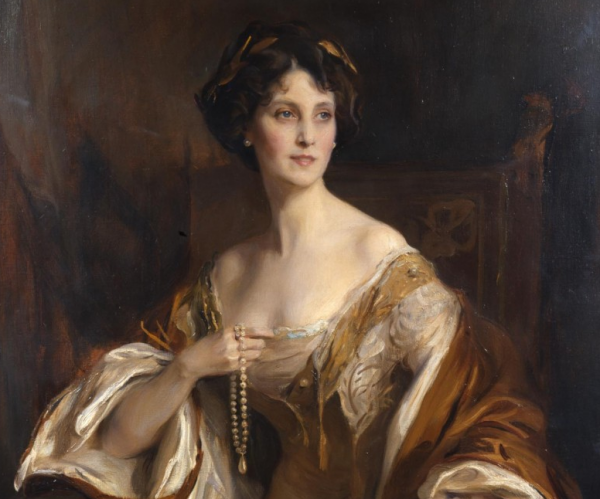 It's odd that the Dudley jewels were included as an example in a discussion of entailed property, because in July 1902, a large portion of the family's collection was sold at Christie's. Diana Scarisbrick's Ancestral Jewels covers the Dudley jewels and their subsequent sale. Clearly there wasn't a legal barrier to their sale.